Greetings and Blessings to faithful visitors to our website, Facebook, Twitter, and on and on! We are on the threshold of that time of year when we celebrate cherished holiday traditions with family and friends— a time to hold close the relationships we treasure. Over the years we and our neighbors here in North Minneapolis have ‘grown’ a cycle of traditions that have bound us together as community. Many years ago, as campus minister at Visitation Grade and High School in Mendota Heights, I coordinated many holiday outreach projects and was constantly amazed by the generosity of these young people and their families. 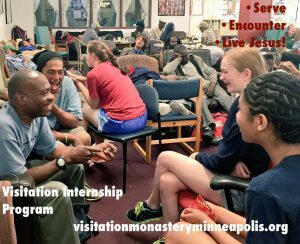 When I moved to North Minneapolis to found an urban monastery with three other Sisters from St. Louis, Mendota Visitation followed us. My ‘guestimate’ is that roughly 80 percent of Mendota Vis outreach takes place here. 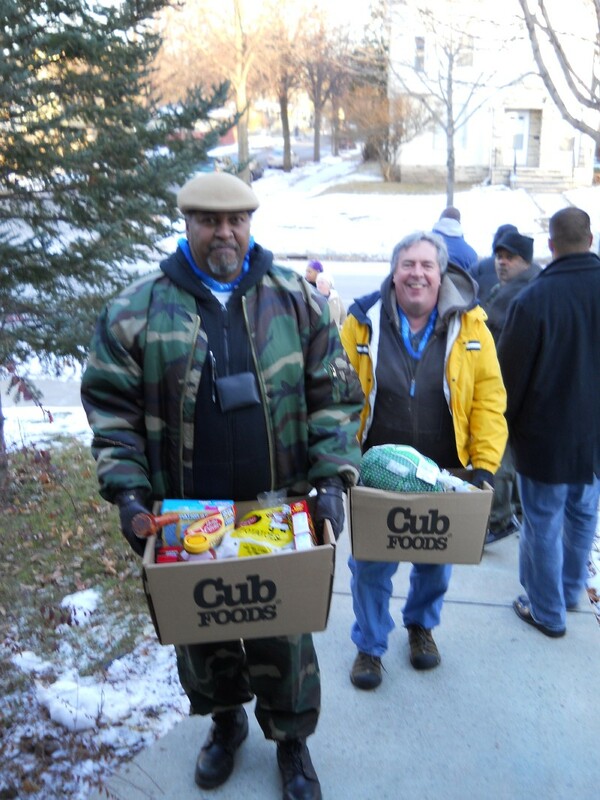 This sharing of abundance continues to this day, and we and our neighbors in North Minneapolis are the grateful recipients of this outpouring of love as a bridge is built between our two communities. 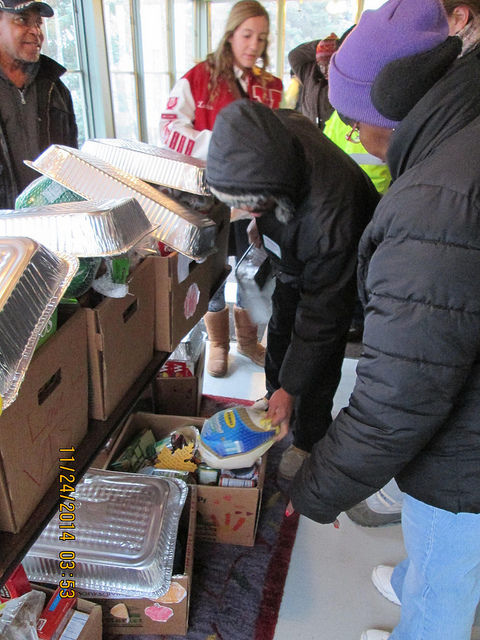 For the past 25 years, Visitation has partnered with our neighbors carrying out a wonderful annual tradition to deliver about 125 Thanksgiving baskets to people in need of a good holiday family meal. Students pair off with neighbors, go to the homes and share a prayer along with a basket with groceries, a turkey and a baking pan. This tradition has brought folks together who might not otherwise have met. After the turkey and trimmings have been enjoyed, the Sisters are still here to companion and affirm our neighbors in their goodness and love. 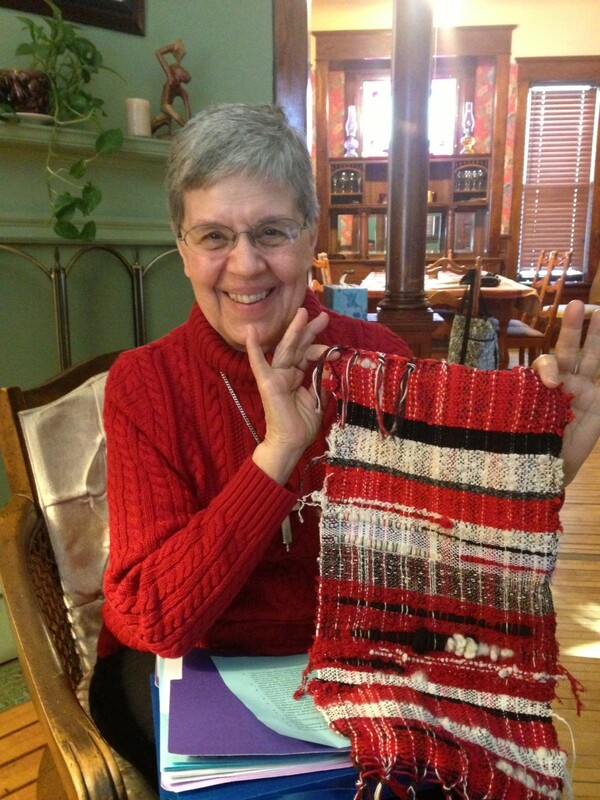 Several other community building traditions have grown up. As the holidays progress, we hope to share photos of some the activities as they unfold. 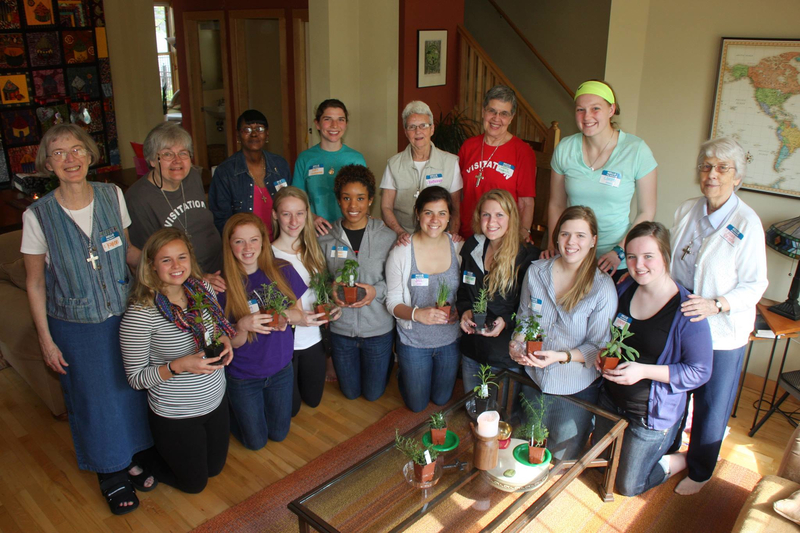 St. Jane de Chantal has a maxim that applies here: “Gain hearts by kindness.” Many relationships have grown and deepened through the years because of simple acts of kindness on the part of Mendota Visitation and many others. After the turkey and trimmings have been enjoyed, the Sisters are still here to companion and affirm our neighbors in their goodness and love. That is the joy of living here. I want to thank ahead of time the hundreds (thousands?) of people who have helped us develop cherished holiday traditions with our neighbors! We call it HOPE! We call it JUSTICE! We call it LOVE! 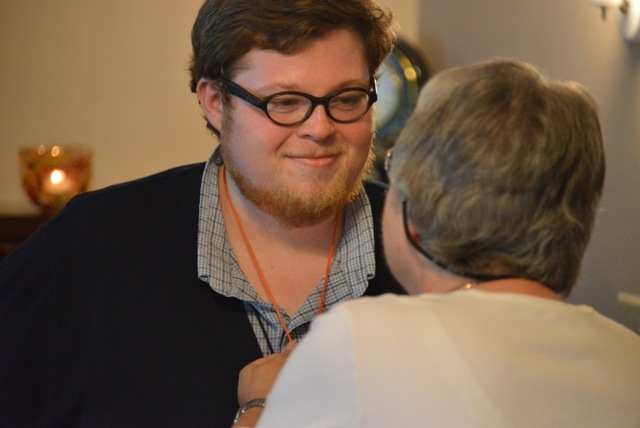 Join us in celebrating the young people and their mentors in this summer’s 2015 Youth in Theology and Ministry (YTM) Institute. We are thrilled to be able to support our friends Alma, Eiler and Jessica as participants in this two year program. 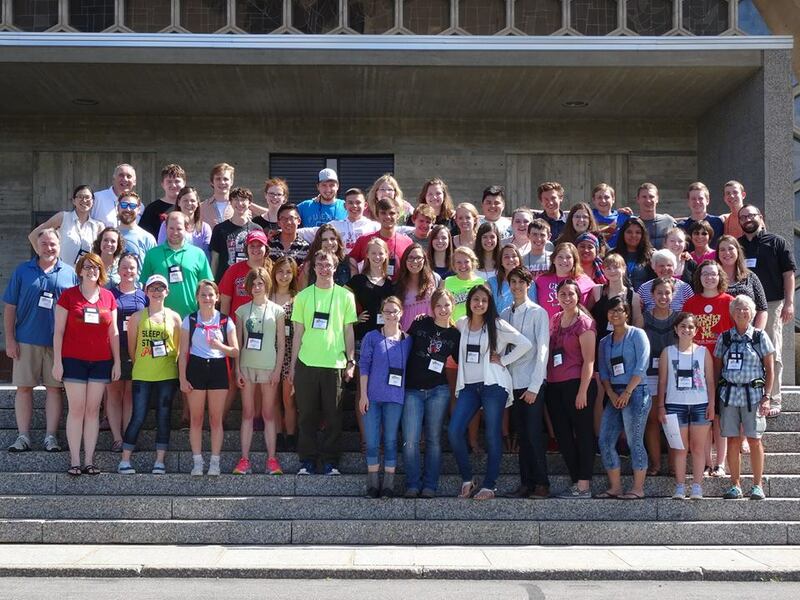 The 2015 Summer Institute crew! YTM’s mission is to engage and develop Catholic young people and their adult mentors to be vibrant leaders in their faith journey and vocational call. 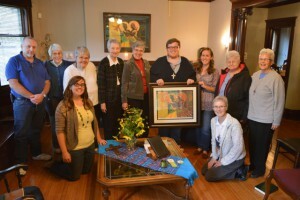 To read more about the mission and program of Youth in Theology and Ministry, visit their webpage at St. John’s School of Theology website. Community Prayer: Welcome to North! WELCOME TO NORTH / story from Chitwood Media on Vimeo. Since December of 2014, we have been convening a group of women and men who are discerning their calls to co-found a Resident Visitation Lay Community alongside us in north Minneapolis. What is the call of the laity? What does it mean to be community? How do we “live+Jesus”, as our founders said, in north Minneapolis? How are stability and freedom, the Spirit and one-ness part of our calls to be present in this economically and culturally diverse place? 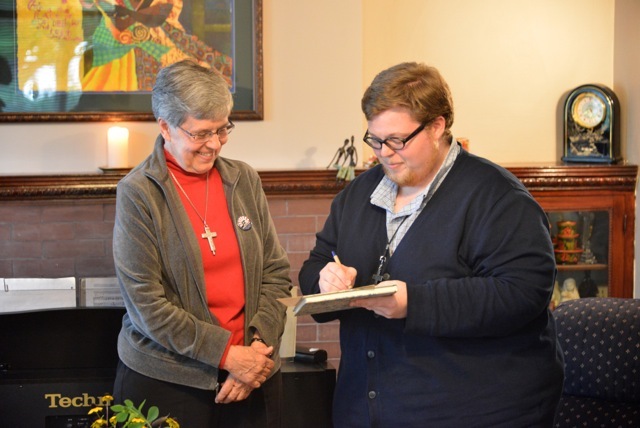 On Sunday, May 31, 2015, S. Mary Margaret creatively launched our discerning-community-gathering with a prayer using two videos. These short, award-winning films, playing here, were produced by our friends Morgan and Josh Chitwood. 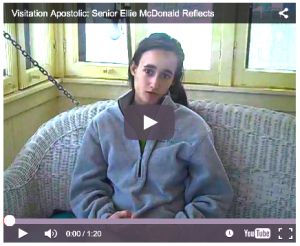 We invite you to watch them and hold us -and our discerning friends- in prayer. Together, may we rise up to meet the joyful challenges of founding this new community and living responsively to the call of the Spirit and the union of beloved community that Jesus calls us all to in his name. THE LAST PRAYER / story from Chitwood Media on Vimeo. !Hola! Me llama Hermana Susanna. That is how I began the most recent Women’s Overnight Retreat at St. Jane House. 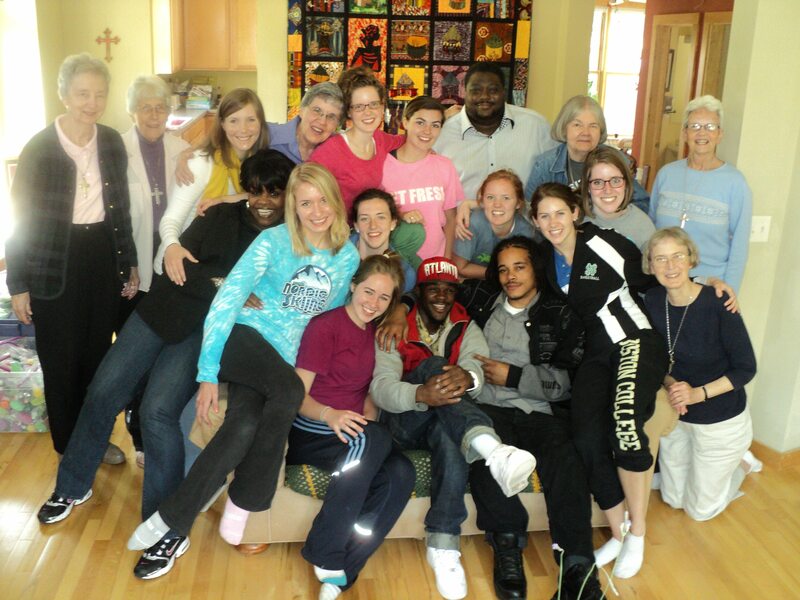 Each year for Mothers’ Day we Sisters invite the women of our neighborhood to participate in an all day retreat in honor of their nurturing presence on the north side. As a follow up we host three overnight retreats during the year for groups of 5 – 7 women who had been part of the larger gathering. The final follow-up overnight was Bi-Lingual. That’s right, I did say Bi-Lingual. 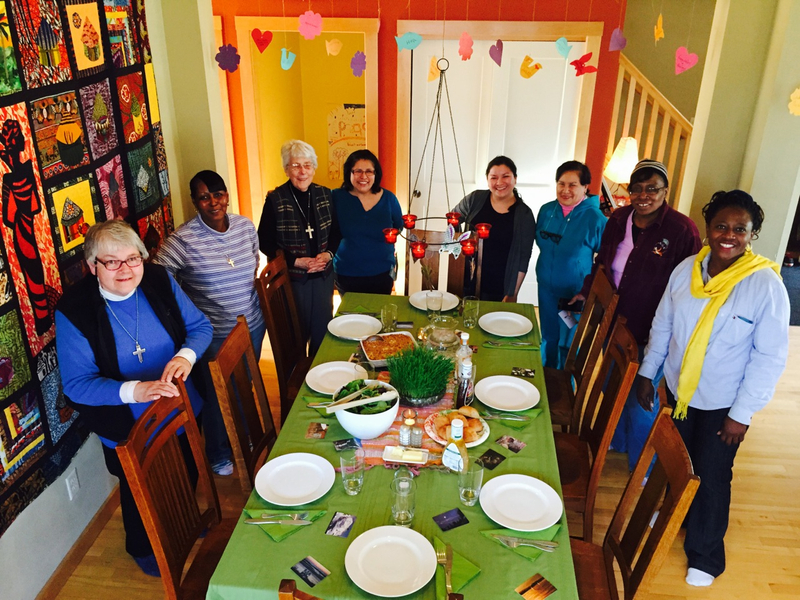 Sr. Mary Virginia and I gathered the women together for reflection, sharing and prayer. This is the first time we hosted a bi-lingual retreat. Luckily Sr. Mary Virginia was born in Mexico and speaks fluent Spanish. I studied Spanish for two years when I was in high school— that was in the early 60’s and it is only by the grace of God that I could remember how to greet the retreatants in Spanish! The Holy Spirit is alive and well and was very present to those of us gathered: a mother and daughter from Peru, a mom from Guatemala, a French-speaking neighbor from Nigeria, two long-time African-American neighbors and the two ‘gringas!’ We were not only able to converse and share stories, but to laugh and cry together. We admired the beauty of each others’ lives. We worked creatively alongside one another. As part of our retreat time tougher, we created mandalas as a way of getting deeper into our own hearts — where God’s spring of love meets each of us. “Loving Ourselves Where We Are On Life’s Journey” was our theme. We are all in mid-life someplace and regardless of our chronological age it is an appropriate time to look at where we have been, where we are now on our life’s journey, and to appreciate how God has worked with us along the path from then until now. Joyce Rupp’s Book Dear Heart, Come Home includes poetry and journal entries, as well as reflection questions, and it is well worth the read — or at least a serious look-see by anyone needing affirmation of God’s love for them at this point on their journey. Our closing ritual of the retreat was an affirmation circle. Each woman spoke to every other participant — affirming a quality or strength she had come to learn over the past 24 hours. My personal ‘take-away’ from the retreat was hearing and understanding (with my limited knowledge of Spanish) that I was appreciated by my Peruvian friend because our hearts spoke to each other during the entire retreat and we didn’t need words to communicate God’s presence and love in our lives! The language of the heart promises to enrich all of our future retreats and I look forward to my next retreat and the experience of cor ad cor loquitur. To learn more about making a retreat at the monastery, click here. For more about our ministry through St. Jane House, click here. I imagine him standing at his kitchen sink. Maybe he’s stirring up a glass of orange juice to go with a late morning lunch –something to satiate his thirst before he has to go to work. From the kitchen window of his garden level apartment he sees a police officer shoot a young man running the other direction. It’s noon on Saturday, August 9, 2014, and the community of Ferguson, Missouri, is about to change. This citizen, who goes by the name “Bruh” @TheePharoah on Twitter, has a literal grass-roots-level view of his neighborhood –just beyond the barred windows of his home. In a moment of social connectivity, he documents this experience from his perspective. I try to imagine the night Toua Xiong was killed delivering pizzas in north Minneapolis. What it would have been like had I been standing at my kitchen window looking out and seen the teenage boy shot. Or the moment Chris Dozier’s life came to an end in an alley off 14th and Plymouth. Or the late afternoon Marcus White was got caught in crossfire near West Broadway and Dupont. Or the evening Quincy DeShawn Smith’s life came to an abrupt halt in spite of police intervention. As former students in my 10th grade English class at North High, these young men’s deaths come to the fore and evoke my prayerful attention whenever headline news and social media report on gun violence in our world. What does a witness to gun violence experience on a visceral level? On an intellectual, emotional, or spiritual level? What does he or she internalize in the aftermath of such a violent encounter? How does our prayer take shape in the wake of violence? How do we pray for survivors of such traumatic events — and the victims and perpetrators themselves? 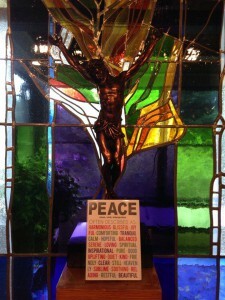 Each Wednesday, the Sisters devote their noon prayer to peace in the world. They pause at the lunch hour to remember God’s grace and goodness and love pouring out for all of us. As they chant the psalms, they hold the root causes of violence in their hearts, and give voice to personal intentions of people suffering and struggling to find peace. They seek to transform the world through prayer. This past week, our noon liturgy in the Fremont House chapel was blessed by a few new guests that rounded out our prayerful pause. The Sisters sat in their usual chairs, as Roselaine* — a friend of S. Mary Frances’ who works for the Minneapolis police – sidled in beside me on the bench, followed by Jermaine* and Denzell* – two twelve year old boys we know from our neighborhood gardening evenings. My heart was near to bursting at the outset. The configuration of pink and brown-skinned people convened in the chapel choir stalls enacting a centuries-old ritual of chant and silence moved me — especially in light of recent headlines reporting racial injustice and dehumanizing circumstances in our world. I prayed for Gawolo, a former northside Teen Group participant I knew who had posted on Facebook that he was down in Ferguson, Missouri. I prayed for all those marching for human dignity and justice. I prayed for Roselaine, and her counterparts in our local police force as they go about their work of keeping safe the community. I prayed for “Bruh” in Missouri and his Twitter followers; I prayed for the officer who shot an unarmed Mike Brown. I prayed for my former students whose lives had all come to an end because of a fired bullet in the hand of an an angry person. I prayed for all who witness, wonder and grieve. 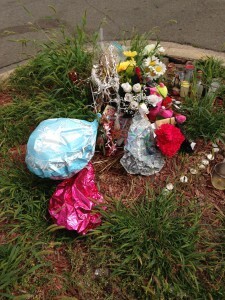 Honoring life: memorial site for a young person who died from gun violence in north Minneapolis. It was after prayer, sitting on the front porch enjoying jelly toast, chicken salad and lunchtime conversation, that Jermaine spoke up –and my intentions for peace continued. “I’ve seen someone get killed,” he said. The 12 year old boy, just days shy of starting sixth grade, sat squarely in the white whicker chair and shared his first hand experience witnessing gun violence. He told us: It was broad day light. Near a corner store. Bullets passed him as he walked along the sidewalk. He described a man grabbing him and pulling him down – out of the way of the gunfire. My eyes went to Jermaine’s. His direct, unabashed, unwavering, piercing brown-eyed gaze. I took note of his friend Denzell’s floor-directed stare. I wondered about what all these young boys’ eyes would see in their lifetime. These stories of death, of witnessing violence, of being privy to gunshots and brutality – as part of everyday life, I want them to stop. *names have been changes to protect the privacy of the persons. 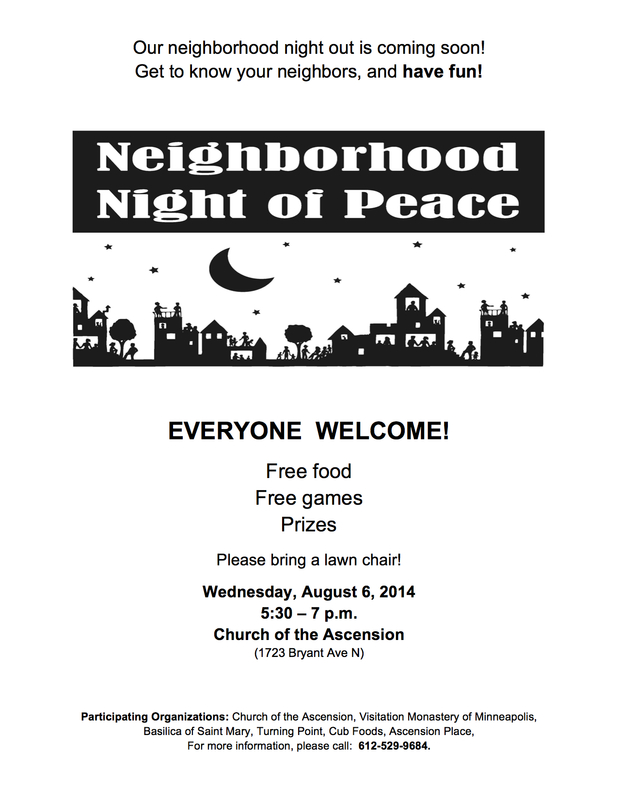 Come and Volunteer, Come and Join us: Neighborhood Night of Peace, Wednesday, August 6! a peace-filled evening of fun, food and DOOR PRIZES. We are still looking for volunteers to help out with kids games on Wednesday, August 6 for Neighborhood Night of Peace from 5 pm-7 pm.